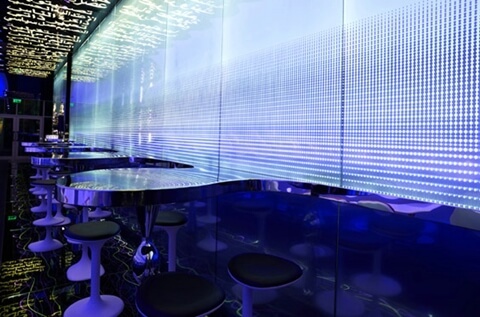 For this time I want to tell you something about the best restaurant designed by KARIM RASHID which won the MDIMP Annual Restaurant & Bar Space Award for Switch Restaurant. 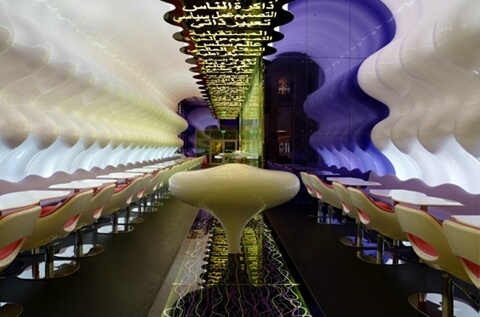 When Karim Rashid designed this magnificent restaurant it was inspired by the dunes of the desert that gives you the feeling of a powerful, clean space, a oasis in the middle of the desert witch it created an amazing perspective. 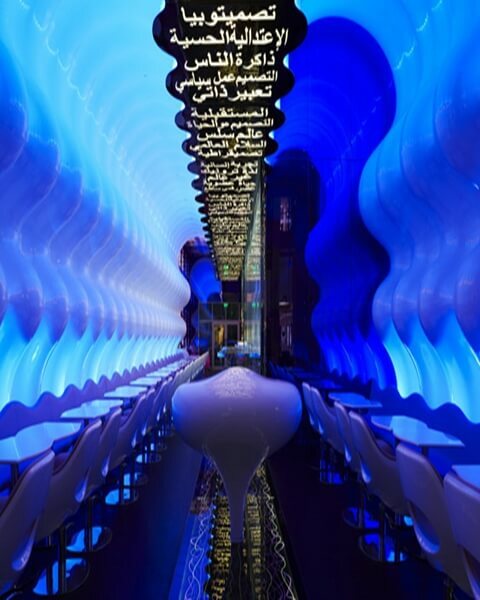 This restaurant is like a “symmetrical vision composed of a continuous, undulating wall that wraps around the space” Karim Rashid said, and I agree with him. The facilities of Switch Restaurant are : 62 seats for dining & 35 for bar / loungeon and 200 sqm area , witch it is a lot of space to enjoy this unique colored oasis. Personally I liked very much and I want it to share it with you, my designlike readers so please be free to explore and to be inspired by this great design.